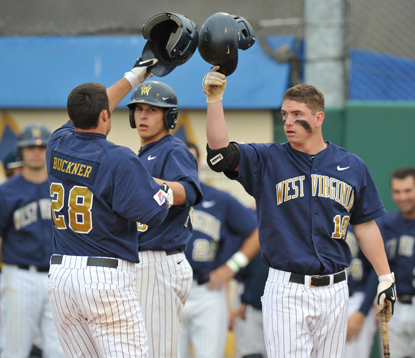 West Virginia has been playing baseball at the collegiate level since 1892. They compete on the Division 1 level and after the 2012 season they joined the Big 12 Conference. 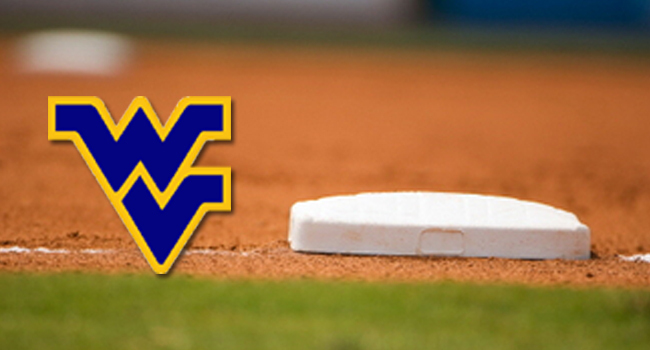 WVU baseball’s team nickname is the Mountaineers and their colors are blue and gold. The play at their on-campus stadium Hawley Field, which seats 1,500, and also at minor league facilities around the Morgantown area. They are currently building a new on-campus stadium. The Mountaineers have made the NCAA tournament 11 time and have won 15 conference titles and five conference tournaments. They have never made a College World Series. Randy Mazey has been their coach since 2013. The first few decades of Mountaineer baseball were very successful, and the team only had one losing season during that time frame. West Virginia joined the Southern Conference in 1951 and played there until 1968. This was arguably the best period of Mountaineer baseball as they were able to win conference titles in 1955, 1962, 1963, 1964 and 1967 and also make the NCAA Tournament in those years. Steve Harrick was West Virginia’s baseball coach for almost all of the Southern Conference years and he retired with a .674 winning percentage, easily the best in WVU baseball history among coaches who were in charge for more than three seasons. After a decade of independence, the Mountaineer’s joined the Atlantic 10. The Mountaineers won the A-10 conference championships in 1982, 1985, 1987 and 1994 and snagged the automatic NCAA bid in each those years. Dale Ramsburg — the winningest coach in West Virginia history — was at the helm during this time period. Gus Van Zandt took over the time in 1995 and in 1996 WVU jumped to the Big East, winning the conference championship and making the NCAA tournament during their inaugural season in the new conference. However WVU would be a fairly mediocre for the rest of their time in the Big East, which ended with their move to the Big 12 after the 2012 season. They decided to make the jump with a brand new coach. Randy Mazey, who had had great success with East Carolina, was tapped to take his new team on their journey to a more competitive conference. Although West Virginia did miss the NCAA tournament for the 17th straight year in 2013 they were able to finish with an a 33-26 overall record and held their head above water with a 13-11 mark in conference play. 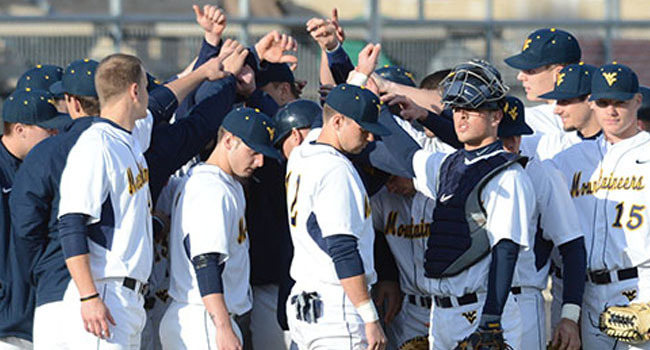 Previous to the move to the Big 12 WVU had played some of their home games in their 1500 seat on-campus park Hawley field and their bigger games at area Minor League stadiums like the 5,640 seat Appalachian Power Park and the seat Linda K. Epling stadium. However as part of their agreement to join the Big 12 they were no longer allowed to use the tiny Hawley Field as a home venue for conference games. So in 2013 they just played those a Appalachian Power Park and Epling. There are now plans to build a new on-campus stadium that meets Big 12 standards. Despite all the stadium drama WVU baseball averaged 1,328 fans a home game, 50th best in all of Division 1. Major League Baseball players who went to West Virginia: Scoops Carey, Jake Hewitt, Charlie Hickman, Ed Kenna, Gene Curtis, Bull Smith, Buck Washer, Larry McClure, Frank Barron, Skeeter Shelton, John Woods, Herman Layne, Babe Barna, Johnny Gorsica, Jim Fridley, George Freese, Jim Heise, Paul Popovich, Bucky Guth, Darrell Whitmore, Joe Hudson, Steve Kline, Scott Seabol, Dustin Nippert, David Carpenter, Jedd Gyorko.